Steven Wilson & Aviv Geffen project - 15 essential Blackfield tracks on one essential CD! More information: Blackfield is the collaboration between Israeli songwriter and musician Aviv Geffen, and British musician and producer Steven Wilson. The collaboration, extending from their self-titled debut in 2004 to their superb return with album 'V' produced with Alan Parsons in 2017, has proven to be a prolific partnership for creating striking and affecting music. 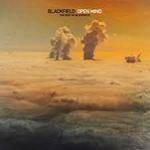 This collection, curated by Wilson and Geffen, selects the best works from an impressively rich Blackfield catalogue with each of the five records combining both sweet and tart elements. It's an uncommonly potent mixture. Perhaps the debut album's Lasse Hoile cover art - a bottled elixir lurking in the gloomy shadows of an apothecary - signifies that Blackfield is a dark medicine to be administered through the listener's ear. There's no recipe on the aged and frayed label of the bottle. Yet some lyrical ingredients can be discerned within the mix: Take a dash of childhood memory, sprinkle in some heartbreak, pour in a drop of blood from an open vein, add a pinch of angry conscience (carefully weighed), puree the dew of a kiss, and then garnish with the bitter tears of adult disillusionment. Stir carefully and name it after the very first Blackfield collaboration: "Open Mind". Steven Wilson - "Blackfield appealed to me because it was a chance to focus firmly on the art of the classic pop song with concise songs and strong melodies, harmonies, orchestration, and a very lush 'golden' production."